Although the European Greens and La République en Marche! 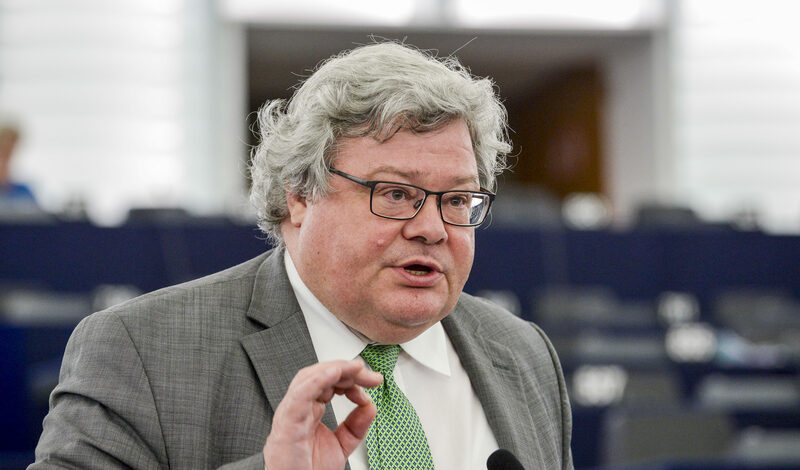 share common views on the European project, these should be promoted in a partnership of equals, Greens co-chair Reinhard Bütikofer told EURACTIV in an interview. The European Greens say that they have not heard anything either from Emmanuel Macron or from his party, La République en Marche! (LREM). Reinhard Bütikofer was commenting on an article published by German weekly Der Spiegel according to which French President Emmanuel Macron will seek a partnership with the Greens and the social-democrats after the European elections in May next year. “I am asking myself what kind of rapprochement that would be,” Bütikofer told EURACTIV on the sidelines of a three-day European Greens congress that ended in Berlin on 25 November. 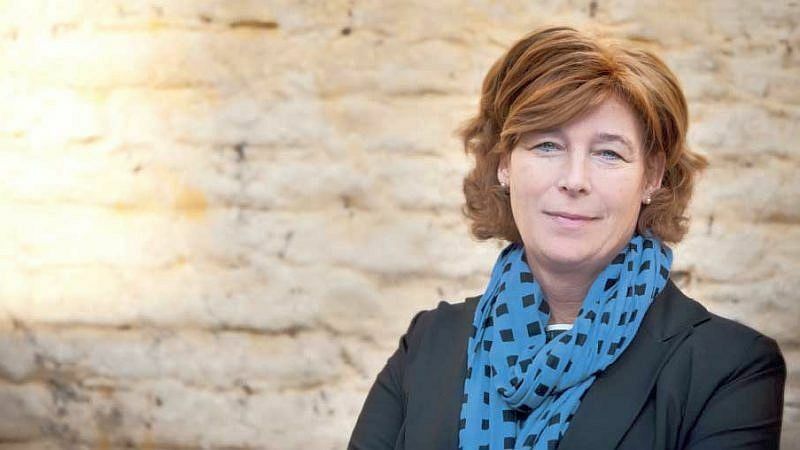 According to Bütikofer, a representative of LREM got in touch with Ska Keller, asking for a meeting on the following day. “I don’t find that very serious,” he said. The invitation aimed at building a broad alliance in Europe after next year’s election. However, Bütikofer disagrees with the underlying idea, which, according to him, would place LREM at the centre of the alliance. “If you want to build auxiliary troops, you don’t do it in such a way. Macron can’t just call out for others to join his movement and expect them to rally behind him,” he said. That said, the European Greens are generally open to build partnerships at any time, Bütikofer stressed. “But we are not going to be auxiliary troops for a Jupiter who is turning into an Icarus right now,” he said, pointing out that Emmanuel Macron might have overseen the importance of making compromises. The co-chair of the European Greens said the party do share some common ground with En Marche ! however, citing Macron’s plans to reform the Eurozone and the completion of the banking union as two examples. “We also support the idea of a European budget. There’s a major difference though, because we want the option to be open for member state that are not yet part of the Eurozone but want to participate,” he underlined. 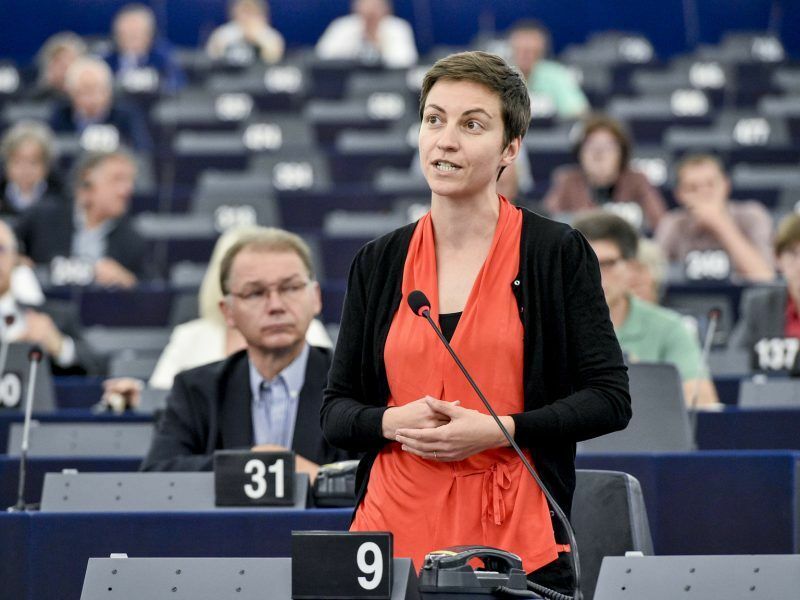 The European Greens also share the idea of promoting an industrial policy within Europe. “But this does not mean supporting national industries,” Bütikofer stressed, referring to French companies trying to steer the European political debate to their favour. “There is a technical race taking place globally right now and we want to offer a robust perspective. We have no time to loose,” he said. And some points, like defence and security issues, need further discussion, he continued, rejecting the idea of a fully autonomous European defence system. “Some of the French colleagues are acting as if it would be better to let down the defense partnership with the USA,” he said, a move he considers that would turn into the advantage of Russia’s Vladimir Putin. Commenting on the newly elected European Greens’ Spitzenkandidaten duo, Reinhard Bütikofer explained why it is different from the Spitzenkandidaten from the other political forces. “Ska Keller and Bas Eickhout represent a diversity, they are both younger than the other candidates and they show that for the Greens, women have at least the same political weight, the same influence, and the same possibility to shape things as men,” he stressed. While Frans Timmermans and Manfred Weber, the Spitzenkandidaten of the S&D and EPP group, have to prevent further losses for their parities and restore political credibility, Keller and Eickhout are backed by a party that has recently gained momentum. Despite the recent success of Green parties, both should avoid falling into the trap of reducing the elections to the question of whether one is for or against Europe, Bütikofer said. “The continuation and development of the European project goes hand in hand with clear positions on what needs to be changed,” he explained, taking the fight against global warming as an example. “We are not contenting ourselves by saying we have to do something, we are making a clear reference to the IPCC 1.5°C report,” he said. “This means we are ready to phase out coal in Europe and I don’t know of any other party in Europe that is so consequent on that issue,” he added. 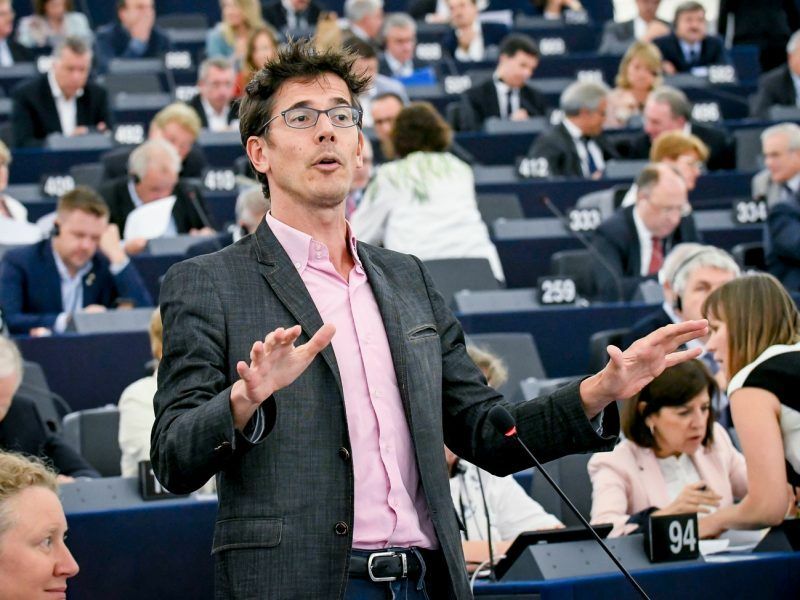 Bütikofer pointed out another – for him significant – difference between the European Greens and the other parties: “We are the faction in the European Parliament with the strongest cohesion, which is a great strength of the Greens,” he said. 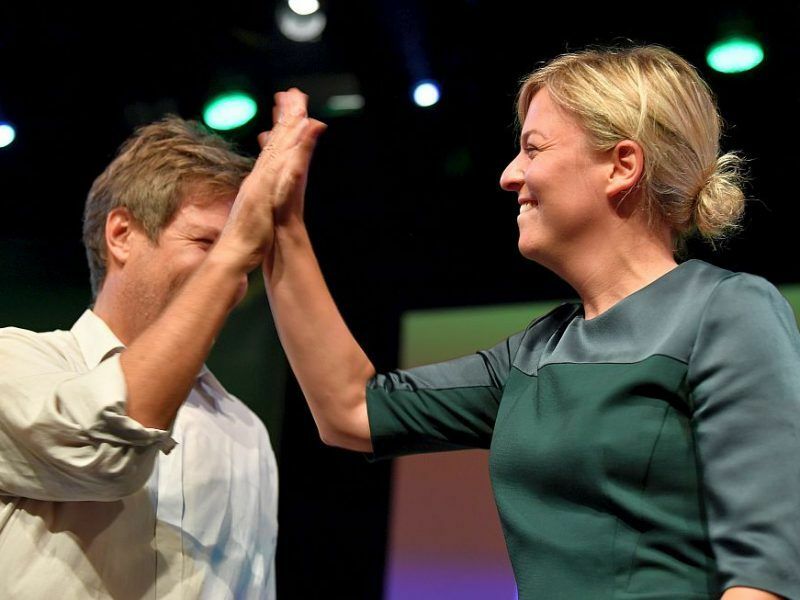 European Greens will pick their two Spitzenkandidats in Berlin on 23-25 November, hoping to build on the Green parties’ unexpected surge in Germany, Luxembourg and Belgium. EURACTIV has spoken to the three candidates. Here is the portrait of one of them, Petra De Sutter. In a vote it called "historic", the Green Party ended the absolute majority of conservative Christian Social Union (CSU) in Bavaria on Sunday (14 October) and became the second strongest political force in a state election whose result will resonate in Berlin and beyond and further dent Chancellor Angela Merkel's position.